Here at South Izu town, where the beach money office is located, the beach money is getting known. 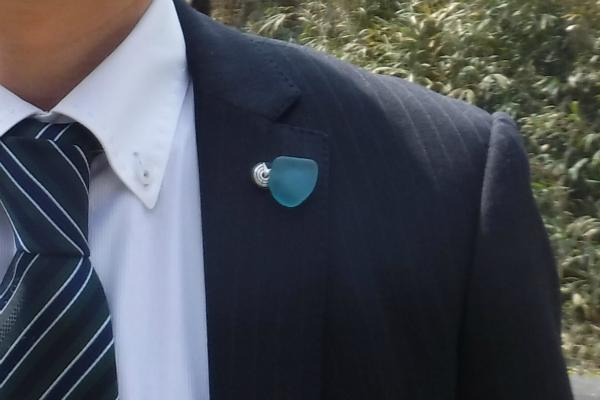 Luckly, I have chances to explain about Beach money at the local schools and/or educational committees, and among those who were the executives of town office, attended such opportunities showed up to my house with a pin like this. 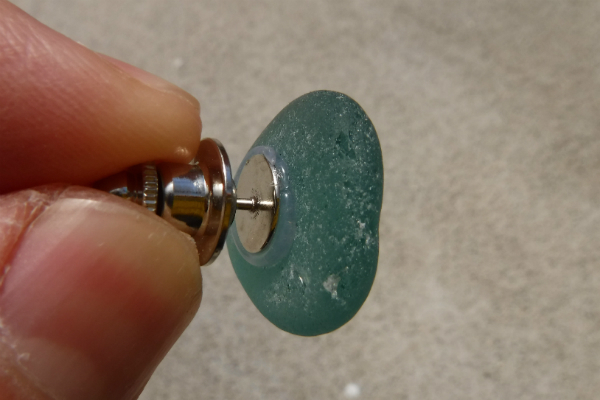 A pin made with beach glass, pin attached to the back of a beach glass with a hot glue.It has very strong presence and it is highly expected that almost 100% of people ask what it is. I wish everyone at the town office wears it. Moreover, all teachers of South Izu town^^. With your ideas the Beach money will be more evolved. I strongly wish that this beach glass pin gets boosted at other areas! It will break the ice to talk about the beach glass activities.